Starting in 2015, the State of Texas implemented the distracted driver program for 16 and 17 year olds. This was put into place to help reduce the number of distracted driving wrecks and save lives. It started as a one-hour program targeting specifically younger drivers, which account for a large percentage of the distracted driving wrecks on Texas roads. Now, the course is a 6 hour program that is followed by an actual skills test. This is meant to continue to train and educate drivers ranging from 16-18 as well as all new drivers in the State of Texas. Because texting and driving was not officially illegal in Texas until September 1 of this year, which was just a few weeks ago, most people believe that it is okay for them to do. This reminds me of the awareness that drunk driving got to have laws implemented to we could begin to curb the amount of people being killed on the roadways each year by preventable violations of the traffic safety rules. There will be a new focus on adult drivers starting in 2018. Within 5 years of starting the initial young driver program to curb distracted driving, Texas will have a version of the program required to be completed by all drivers on the roadways. Does The Course Really Help? "This important program is designed to provide Texas drivers with critical information to help keep their focus on driving - and to ultimately save lives on Texas roadways," DPS Director Steven McCraw said in a press release. The program that uses research and true stories to expose some of the dangers facing drivers. I want you to think back to all lessons you have learned in your life... Most have either been from something negative happening to you personally, to someone close to you, or being presented with an actual in-depth life experience of someone else using their tragedy to spread awareness. This program is intended to prevent folks from having to endure their own personal tragedy knowing they could have prevented a wreck by just being aware and attentive. Here at The Button Law Firm, we are constantly pushing for awareness through our clients. Each and every case we handle where we represent the victim in a distracted driving wreck, we want the public to know what happens when dangerous drivers make dangerous decisions. If you or a loved one was involved in a wreck involving distracted driving or what you believe was distracted driving, please reach out to us sooner than later for more information. We handle distracted driving cases all over Texas. Whether you live in Dallas, Midland, or Houston, our team is ready to help ensure that you get the closure you need. 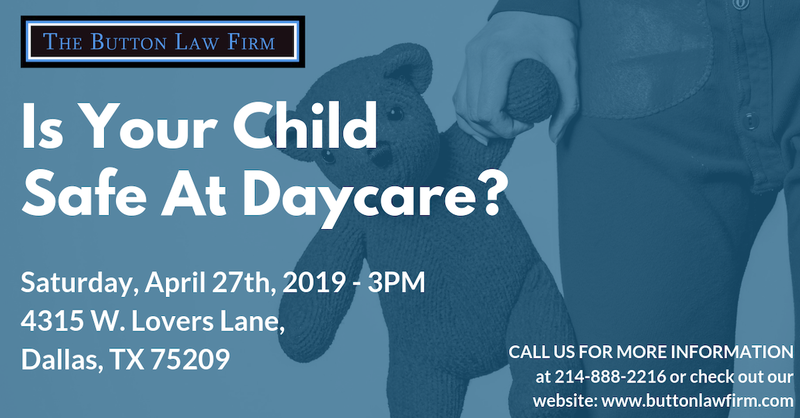 Connect with us through the link on this page or call us at 214-888-2216.